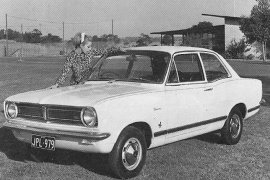 During the early 1960s Australian car buyers were being offered a broader range of cars with a specific emphasis on smaller, more economical and considerably cheaper models – this was particularly poignant as this era was considered the start of the 2 car Australian household. 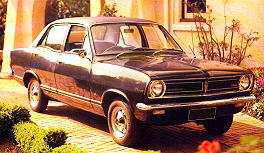 GM-H (General Motors Holden) realised it needed to move away from building only large cars - and their first answer was the launch of the locally produced version of the Vauxhall HA Viva in April 1964. 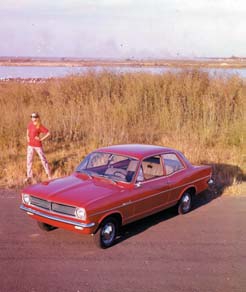 Although badged as a Vauxhall it was marketed as the GMH Small Car and sold throughout Australia by Holden dealers. It sold reasonably well despite its rather basic specification and staid styling with sharp edges that accentuated its boxy looks. 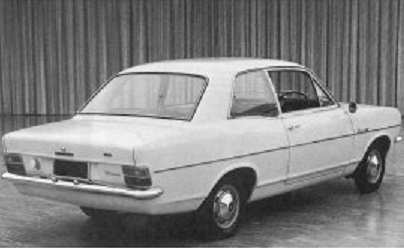 During the development of the Vauxhall HB Viva the intention was always that Holden would sell the car in the same way as the previous HA model, however, Holden wanted a small car of their own. 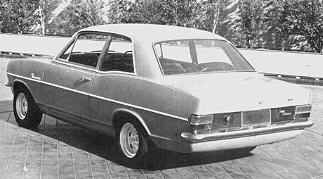 The Holden Design Studios had produced various mock ups of a smaller car but because the projected sales volumes were still relatively low the compromise was to “Holdenize” the up-coming HB Viva. 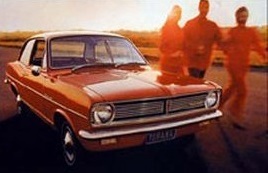 unique distinction of being Australia's only small car of the time that had been tested and built to Holdens “Big-Brother” standards. 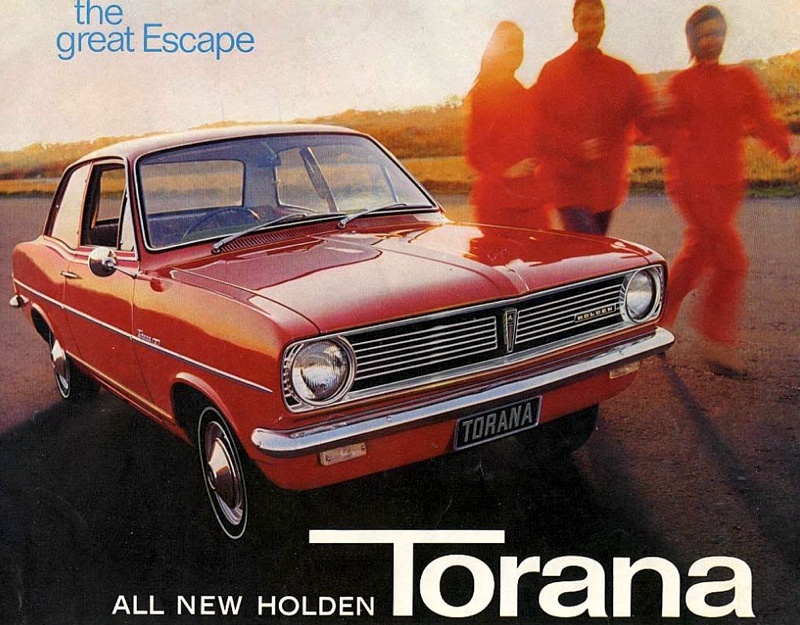 To go with all these changes Holden also dropped the Vauxhall brand and Viva name to sell the car as a Holden and used their own model name – Torana which was taken from the Aboriginal language meaning "fly". 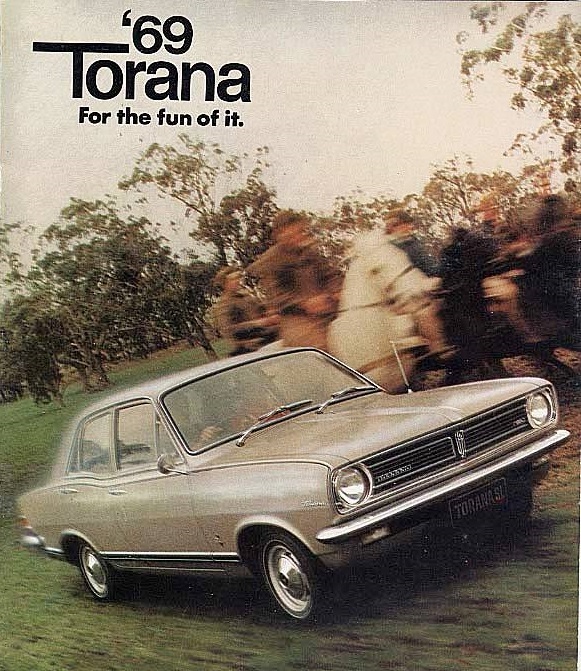 The Torana was designed to compete with popular imports at the time such as the VW Beetle and the BMC Mini, however instead of a rear mounted air cooled boxer engine or a transverse front wheel drive set up the Torana was entirely conventional which was generally preferred by most Australian car buyers. 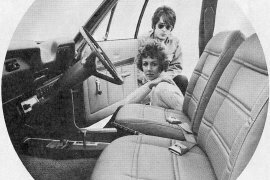 In terms of performance it was light years ahead of the Beetle and was close to the Mini in terms of driving enjoyment and represented good value. 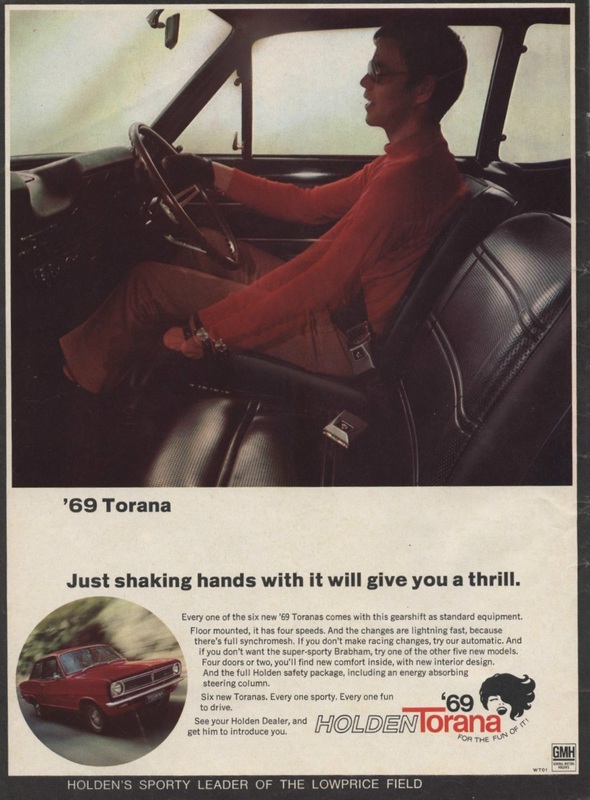 TWO FACTORY PRESS RELEASE PHOTOGRAPHS OF THE HB TORANA SL, THE DASHBOARD WAS VERY SIMILAR TO THE VIVA HB SL WITH WOODGRAIN EFFECT PANELS. 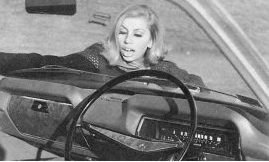 THE MODELS FACE GIVES THE IMPRESSION SHE HAS JUST BEEN RUN OVER AND LANDED ON THE BONNET! 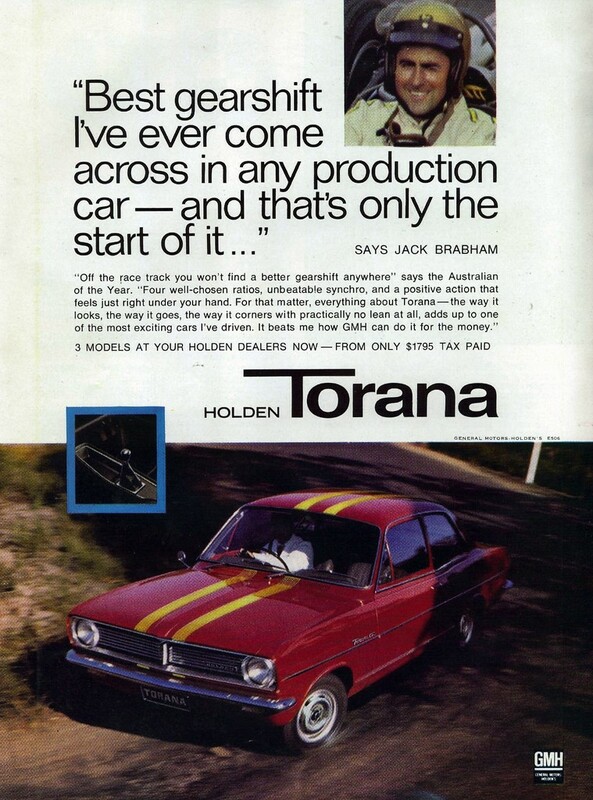 time called the 'Brabham' Torana, named in honour of the well-respected Australian race-car driver, Sir Jack Brabham. 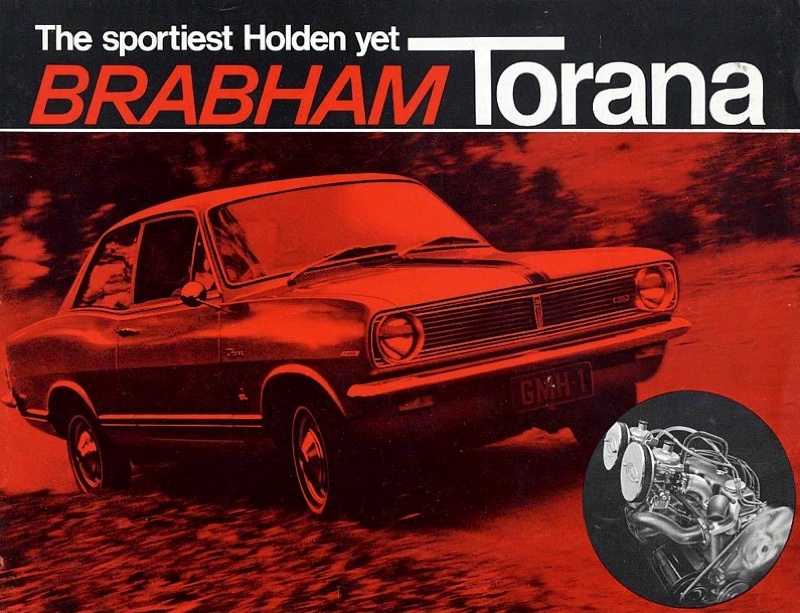 The Brabham Torana's engine was based on the Series 70, but twin CD Stromberg carburettors with sports air cleaners were fitted. Together with the low restriction exhaust system, this boosted the power to 79 bhp. The Brabham also included wider wheel rims and red-wall tyres, power assisted front disc brakes as standard, different badging and black body accents. Automatic transmission was not available on this model. 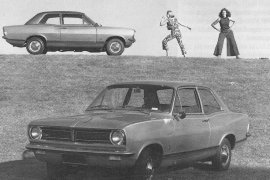 A FACTORY SHOT OF THE NORMAL LOOKING HB TORANA SL 2 DOOR SALOONS WITH TWO RATHER ABNORMAL LOOKING MODELS! 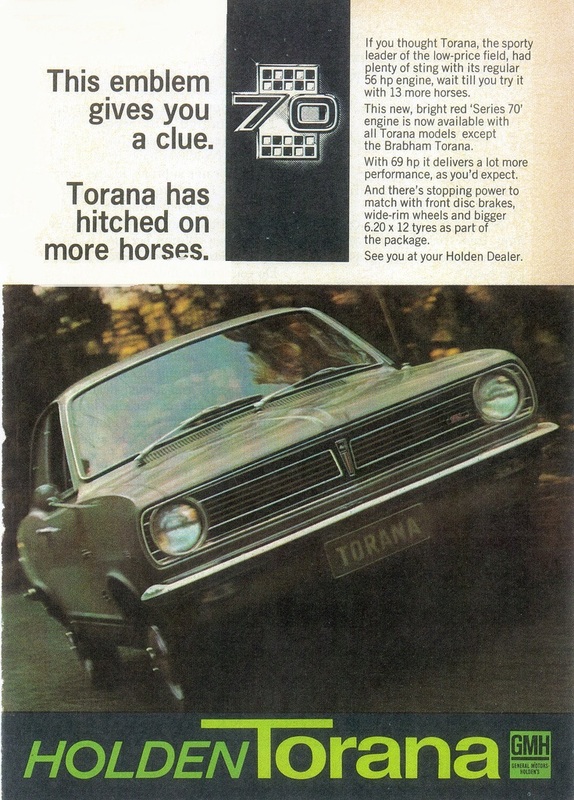 In September 1968, the '69 Torana' was released, called the HB Series II. 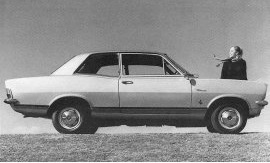 This featured locally made body panels, replacing the imported bodies of the original HB from Vauxhall. 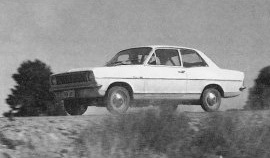 The model line up now include a 4-door saloon which contrary to some observers was not designed in Australia and at no time were body panels shipped to the UK. A revised collapsible steering column was now fitted, together with a new recessed instrument cluster, new indicator switch, and new steering wheel borrowed from the contemporary full-sized Holden. These local components replaced the previously imported Vauxhall items. A consequence of using these local components is the loss of the stalk operated headlight dip switch and horn. The dip switch ended up on the floor, as was the case for full-size Holdens. Dual circuit brakes were now standard on all models, though power assisted front disc brakes are still optional with the standard 56 bhp engine. 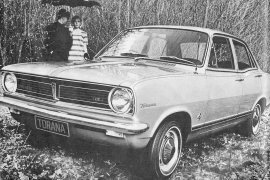 The Brabham Torana was still available, in two-door form only. 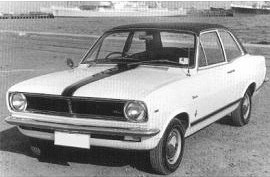 It now included a sports steering wheel similar to the contemporary Holden Monaro GTS, full instrumentation, different badging, and different black accenting. 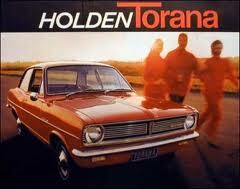 The HB Torana continued until late 1969 when it was replaced by the Holden designed LC Torana. 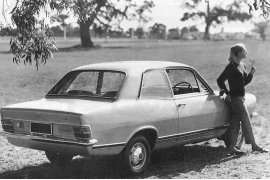 What is surprising is that Holden did not offer either an HB Estate or the 1600ohc slant four engine which was used in the replacement LC model.